The Ban Chiang Project designated the academic year 2010-2011 as the Year of Ceramics (YOC), with activities to advance the scholarly study of the famous ceramics of Ban Chiang. The focus was on the ceramics on loan to the University of Pennsylvania from the Thai government since the 1970s. The Year of Ceramics included new coursework, a new staff appointment, an international workshop, a new teaching lab, and international internships, all supported by the Henry Luce Foundation and the University of Pennsylvania. 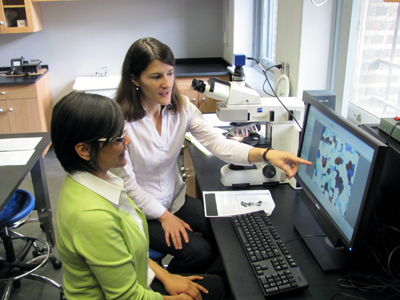 The University of Pennsylvania funded the one-year appointment of a visiting post-doctoral scholar, Marie-Claude Boileau (Canada). Together with Dr. Joyce White (Penn Museum) and Professor Tom Tartaron (standing Penn faculty, Dept. of Classical Studies), Dr. Boileau taught Introduction to Archaeological Ceramics, a two-semester course that focused on Ban Chiang ceramics. Dr. Boileau also designed, conducted, and oversaw multi-disciplinary study of the Ban Chiang ceramics collection during the Year of Ceramics. 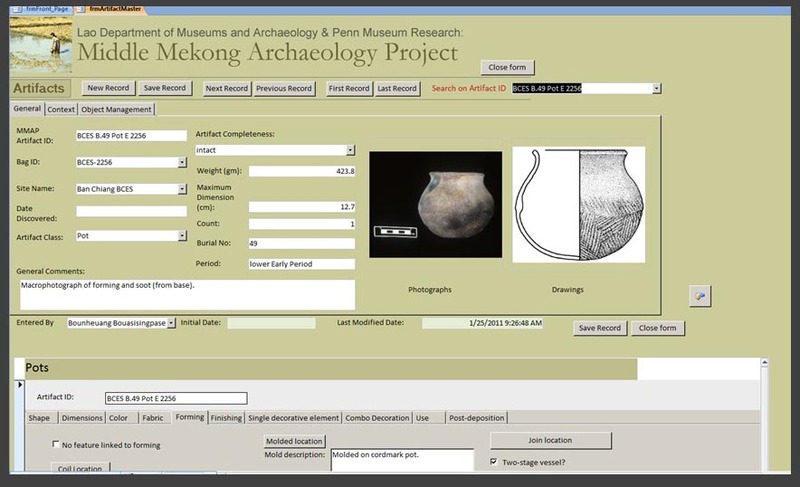 The study included database recording of more than 130 variables on each of more than 500 whole and reconstructed pots from Ban Chiang and three related sites, Ban Tong, Ban Phak Top, and Don Klang. Studies of selected pots using computed radiography, thin section petrography, and chemical analyses were conducted. 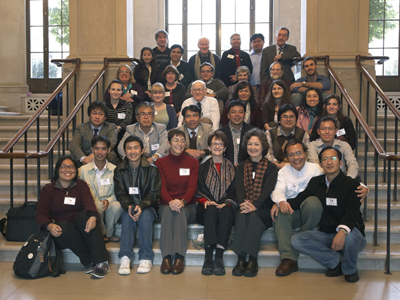 In November 2010, Penn lent support to an international four-day conference on Southeast Asian Ceramics. The workshop was held in collaboration with the Smithsonian’s Freer & Sackler Galleries. 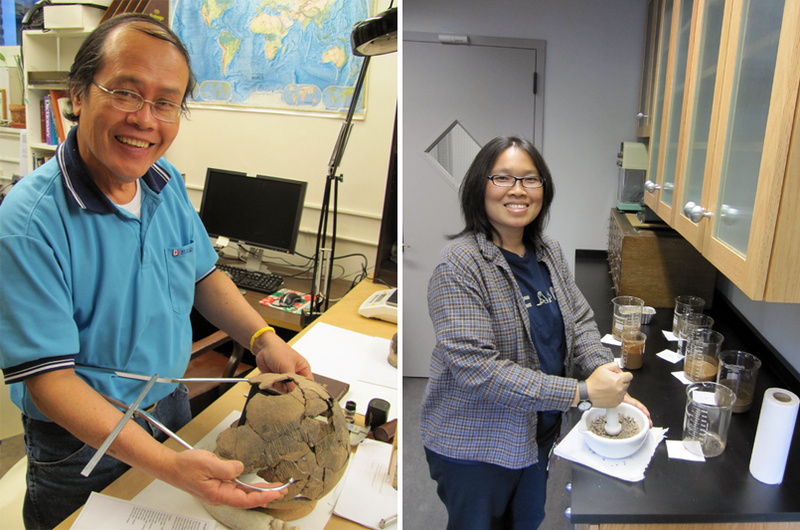 More than thirty invited specialists in Southeast Asian ceramics from eleven countries participated in sessions at the Smithsonian and Penn Museum. The workshop offered a first-time opportunity for these scholars to gather in one place to focus on the current state of the field and to plan future directions. Sparked by interest expressed at the workshop, there is now a listserv for Southeast Asian ceramic archaeology. Today it includes 198 international scholars from more than a dozen countries, and serves as an ongoing forum for information sharing and collaboration. By constructing an archaeological ceramics laboratory in the Museum’s newly renovated West Wing, the Penn Museum fulfilled its pledge to the Luce Foundation to develop facilities to support the Year of Ceramics. The lab opened in January 2011. Students taking Introduction to Archaeological Ceramics were able to do petrographic and other analyses to learn how and where pottery was made, how widely it was traded, and how production was organized. 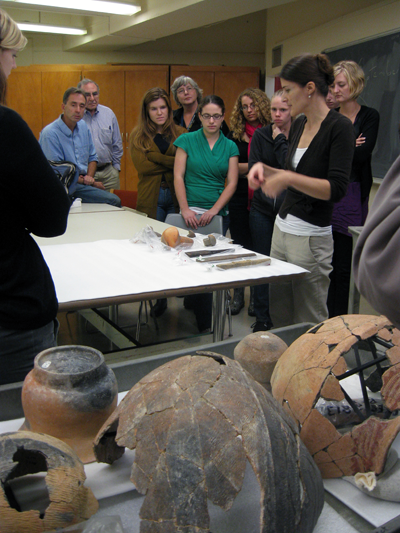 This ceramics lab is a now part of the Center for the Analysis of Archaeological Materials and is used for ongoing research and teaching. The Henry Luce Foundation, as part of its commitment to international collaboration in Asian archaeology and the training of new scholars, supported two Asian interns in the Ban Chiang Project. From September 2010-May 2011, Bounheuang Bouasisengpaseuth, Deputy Director of the Lao National Museum in Vientiane, Laos, and Sureeratana Bubpha of Thammasat University, Bangkok, studied Ban Chiang ceramics under the supervision of Dr. White, Dr. Boileau, and Professor Tartaron. They focused specifically on the more than 500 reconstructible vessels excavated by the University of Pennsylvania at Ban Chiang and related sites. ISEAA is dedicated to the multi-disciplinary investigation of Southeast Asia’s archaeological past in order to advance that knowledge for the benefit of both scholars and the public.